October 9, 2012, marks the 104th anniversary of the introduction of the first Cole Solid Tire Automobile. The Cole Motor Car Company is one example of an automobile manufacturer that evolved fromIndiana’s carriage industry. By the end of the company’s drive through history, it contributed several innovations to the automotive industry. Cole’s story begins with founder Joseph Jarrett Cole, who started working in the carriage business in about 1888. He served as a salesman and corporate executive for carriage maker Parry Manufacturing Company of Indianapolisand another firm. In November 1904, Cole purchased a one-half interest in the Gates-Osborne Carriage Company of Indianapolis. He became president and changed the name to The Cole Carriage Company on December 4, 1905. The company was known for its full line of vehicles. Cole began to think seriously about building an automobile in early 1908. The first Cole Solid Tire Automobile was ready for inspection on October 9, 1908. 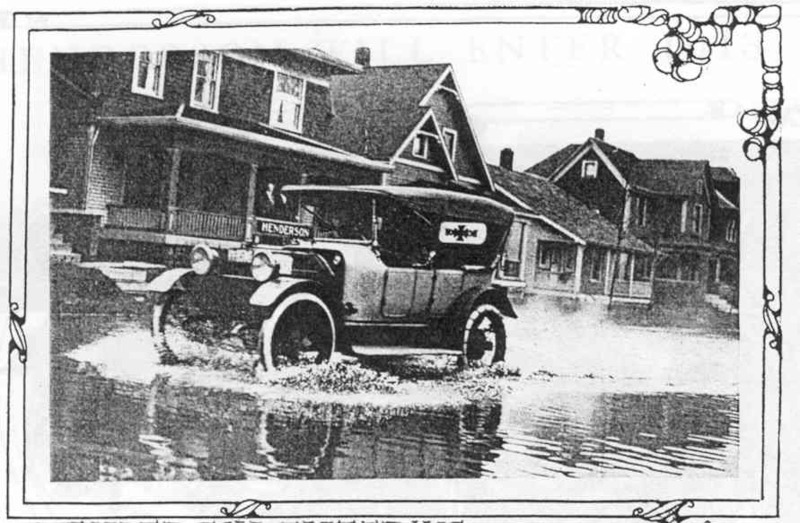 The car was designed for the road conditions of the day. It was a modern high‑wheeler with solid rubber tires. A second model was completed and shown to the directors on June 1, 1909. 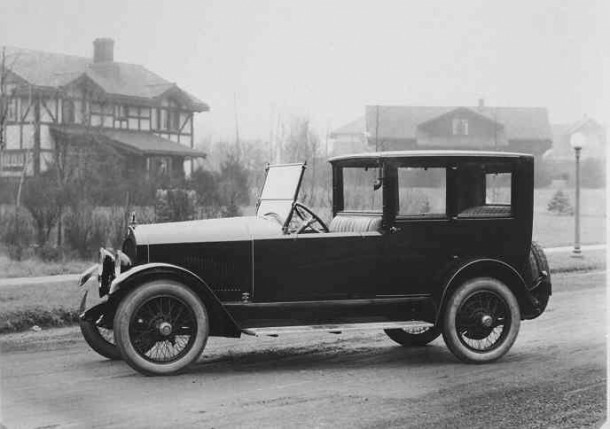 As a result of their favorable impression of this second car, board members voted to incorporate as The Cole Motor Car Company on June 22, 1909. 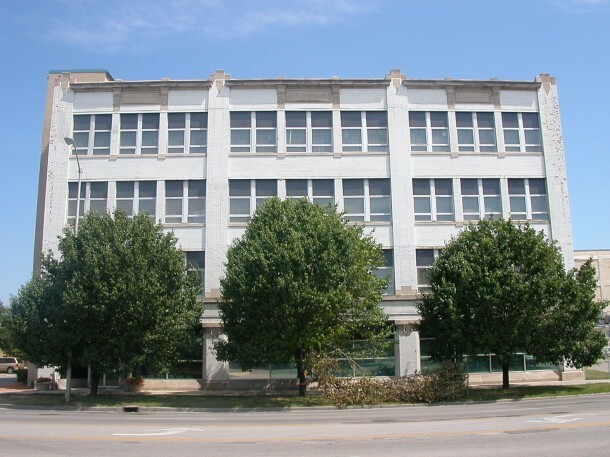 They rented facilities for the company at 750 East Washington Street in Indianapolis. Soon, Cole recognized the need for manufacturing space. The company constructed a four-story, reinforced concrete plant in 1911 covering 66,000 sq. ft. of space on the southwest corner of Market and Davidson streets in Indianapolis. As demand increased, Cole decided to expand in 1913 and then again in 1919. These buildings remain today at 730 East Washington Street. 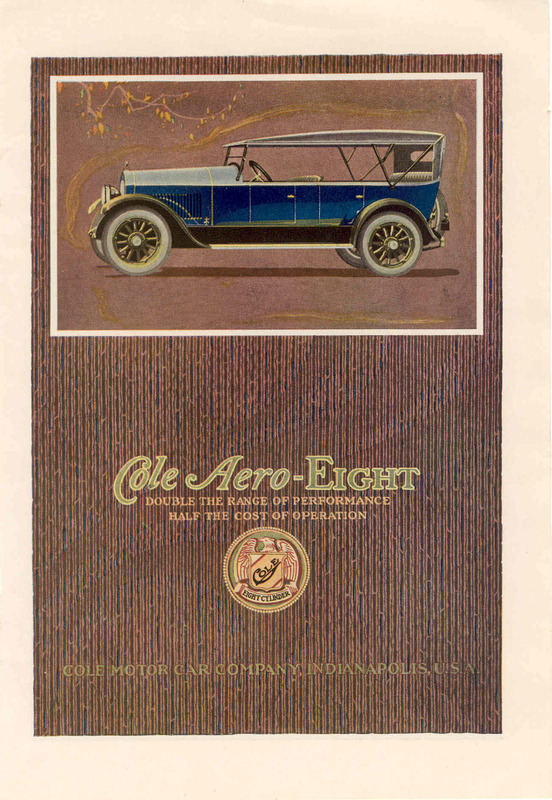 J. J. Cole adopted the phrase “The Standardized Car” for his product, thus indicating that Cole used components that were “the standard for quality in the industry.” He ran a six page ad in the July 26, 1913, issue of the Saturday Evening Post, which was the largest automobile ad ever purchased to that date. In 1920, Joseph J. Cole built his mansion at 4909 North Meridian Street while his business was in its heyday. It and the factory buildings are on the National Register of Historic Places. After enjoying many years of prosperity, Cole began losing money in the wake of the post World War I recession. The recession brought a decline in all business activity as well as a serious curtailment of automobile sales. The success of other manufacturers’ low-priced, mass-produced cars cut the volume of Cole cars. Production ceased completely in October 1924. In January 1925, while his company was still solvent, J. J. Cole chose to liquidate rather than jeopardize the remaining assets of the corporation. Cole made a total of over 40,700 automobiles. Each model was a quality product, with the best material, craftsmanship and design available for the time. For a brief period, Cole was second only to Cadillac in volume of sales in its price range. So, the next time you are driving on East Washington Street, just past College, look north and reminisce about the Cole Motor Car Company. I would like to point out that the buildings were designed by my grandfather, Herbert L.Bass. They have been remodeled and now house Marion County Jail II. Would love to know who designed the home on North Meridian. If the term architecturally designed could be applied to the Studebaker factories, South Bend might be a more pleasant place to be. The old Studebaker office building is quite nice, but needs updating because it’s not efficient to heat or cool. 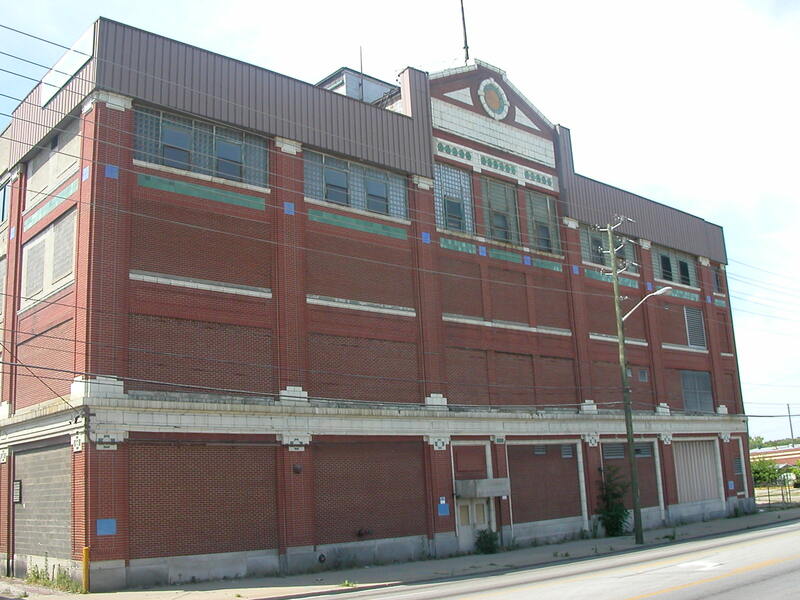 It is great to know that your grandfather was the architect on the Cole factory buildings. Presently, I don’t know who the architect was on the Joseph J. Cole, Jr. home. I tried some research at the National Register of Historic Places website, but no luck soo far. I’ll do some more research and get back to you later. The architect for the Joseph J. Cole, Jr. residence known as Colehaven at 4909 N. Meridian Street was Frederick Wallick (ref National Register of Historic Places, Indiana, Marion County). Sorry, I don’t have any information about the Parry Manufacturing Company before this article from Motor Age. 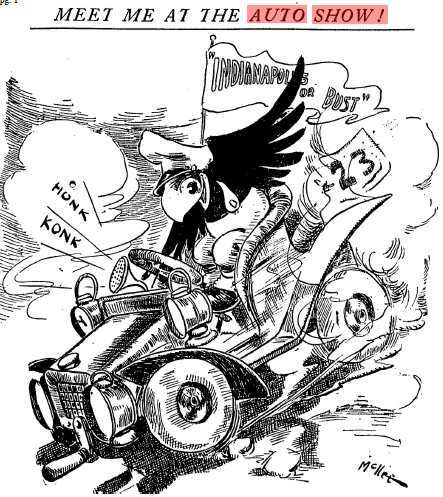 Indianapolis – Plans for what probably will be one of the largest motor car plants in this city are under way and a car to be known as the Parry will be manufactured. It is expected that within a few days articles of incorporation for the Parry Motor Car Co., with an authorized capitalization of from $500,000 to $1,000,000 will be filed. The president of the new company will be David M. Parry, for 27 years president of the Parry Mfg. Co., manufacturer of horse-drawn vehicles. A few weeks ago Mr. Parry resigned as president of the carriage company and although he still retained his extensive holdings he declined at that time to make known his future plans. Mr. Parry is fairly well known to the motor trade by reason of his former connection with the Overland Automobile Co. He was one of the principal stockholders at the time the concern was taken over from the company which was headed by Claude E. Cox. Some months ago Mr. Parry disposed of his interests in the Overland company. In discussing plans for the new concern, Mr. Parry said the energies of his company for the present would be devoted to two models. One of these will be a two-cylinder runabout, rated at about 20 h.p. The second model will be a five-passenger, four-cylinder, 30 h.p., touring car. The organization of the mechanical and sales forces is being perfected. Orders are being placed for machinery and the erection of the factory buildings will start as soon as a suitable site can be selected. You might search the Historic Indianapolis website for David M. Parry. It has a number of articles on Mr. Parry. Wikipedia has the architect of the Cole Factory as: Halstead, W.C.; Bedford Stone and Construction. Some editing may be needed as this is in conflict with Mr Bass’ information above. Any clue who removed it? J. J. Cole’s grandson asked the city to remove all markings on the building when he sold the building to the city for the Marion County Jail annex. I can see why he would want to do that, do you recall what year that was?